Am I interesting times seven? Emily of Author’s Canvas nominated me for the Versatile Blogger Award. I’ve had the No Awards, Thank You sign up around these parts for a while now. Five years blogging and counting, there came a time when I’d had enough and wished for the awards to go elsewhere. 1. 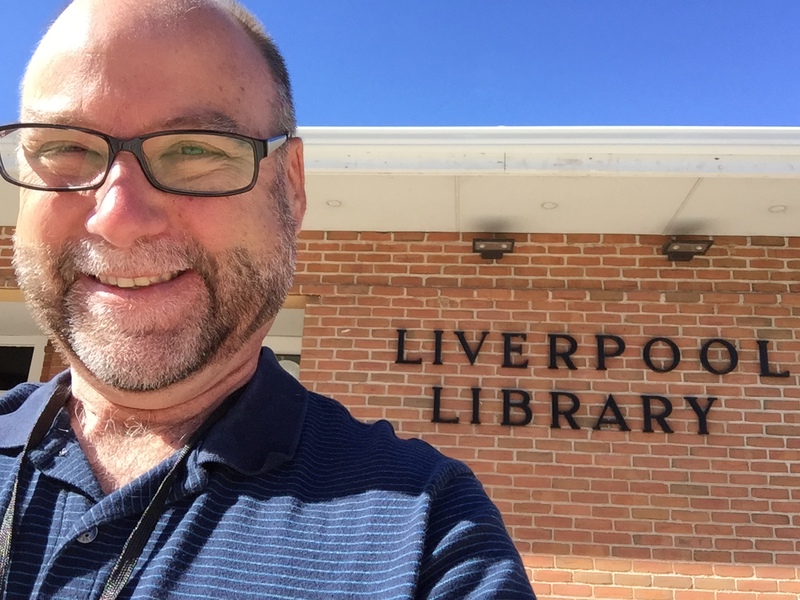 After 35 years as a professional ink-stained wretch, I’ve made the transformation from my mostly word-oriented career in the newspaper biz into the heavily photo-and-video-social media communications world for the library. And I love it. 2. I did not think it was odd at all at the time that newspaper folk called themselves ink-stained wretches. When I was an ink-stained wretch, hair days indeed. 3. I used to have a lot of hair. 3. Now, not so much. 4. I am a dog person, but cats are OK. 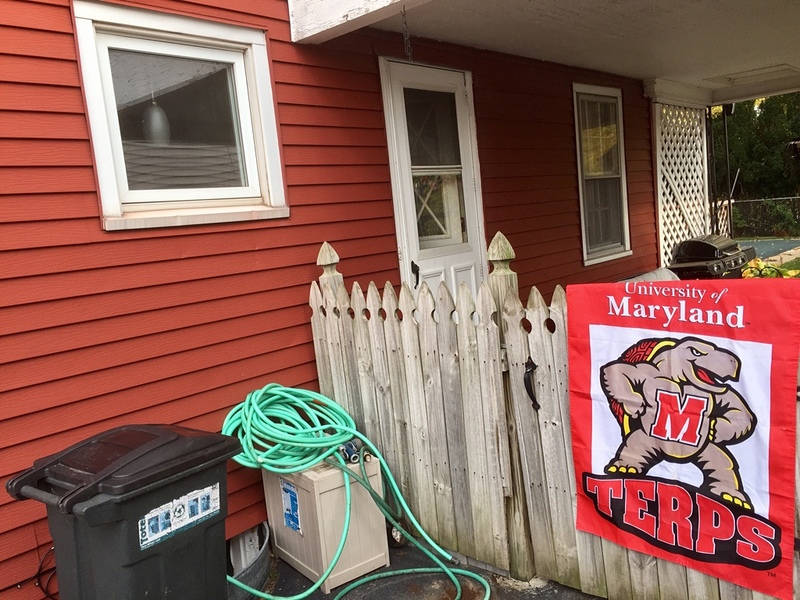 I fly my Maryland gosh in Liverpool, N.Y.
6. 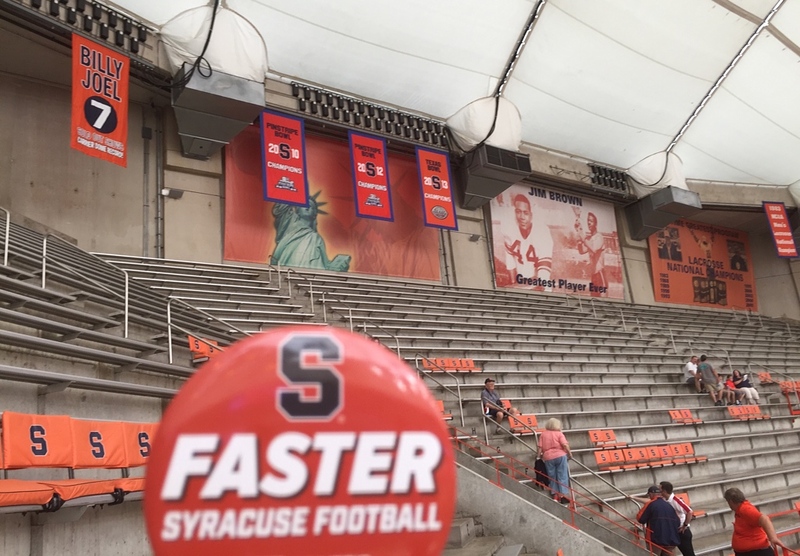 My dear wife Karen and I have season tickets to watch the Syracuse University football team in the Carrier Dome. I cheer hard for the Orange, too … except for when Syracuse plays Maryland. 7. I have written a blog post every day since October 27, 2013. 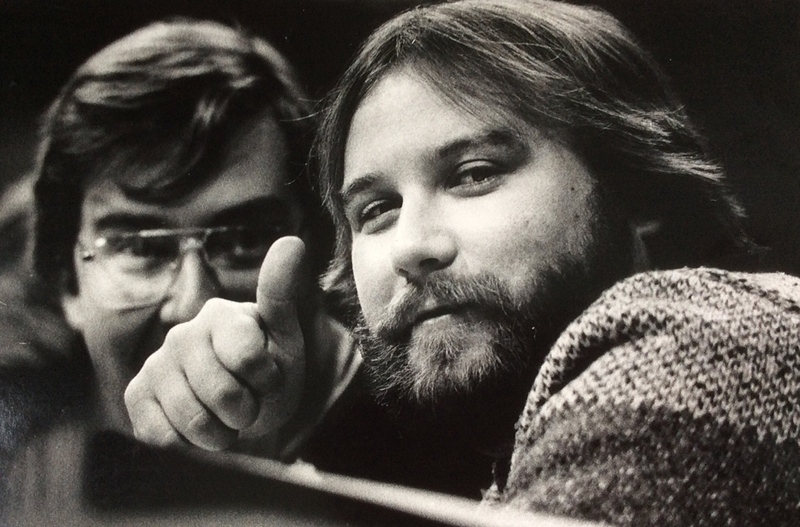 It’s easy for me to remember that date not because of the blogging event, but because it was my dear wife Karen and I’s fifth wedding anniversary, and we had returned to Niagara Falls, where we had eloped to get married. 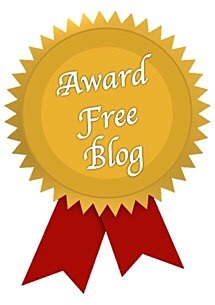 As far as nominating others go, anybody who feels like listing seven interesting things, you are hereby tapped for the Most Versatile Blogger Award. Well that was fun! I myself was an ink-stained wretch for a spell. I even have a degree in Journalism! The ink won’t ever leave our veins, Kathryn Grace. Never was, always is. Yes, that business card would have gained some stares for sure. Thanks, Beth! If you get a “bigger” award will you have to move into a “bigger” house? Your houses have had such small names. I love that picture of you in your ink stained wretch years!! And you are definitely versatile!! !